Is it still worth buying a used diesel car? The choice between petrol and diesel is very dependant on the type of driving a car owner expects to do and the age of the vehicle. Whilst hybrid and petrol vehicles may be better suited to short range city driving, but for commuters who travel longer distances (more than 12,000 miles each year) or those needing a large car like an SUV or people carrier, a diesel car will often be a better option. Diesel cars are generally more fuel efficient, using on average 20% less fuel and therefore produce 20% less CO2 emissions. Furthermore, used diesel cars still benefit from the lower Vehicle Excise Duty rates, with some diesel cars free to tax for the year! From 1st April 2017, CO2 emissions only affect the ‘first year rate’ of VED, with a flat rate payable of £140 per year thereafter. Cars with a list price over £40,000 are also liable for an extra charge of £310 a year in the first 5 ‘standard rate’ years (years two to six). The EU has been tightening regulations relating to diesel cars since 1993. Cars and vans produced since January 2011 meet the Euro 5 standard. This means the exhaust system catches 99% of particulates. Cars produced from September 2015 onwards meet the Euro 6 standard and produce only a maximum of 80mg/km of nitrogen oxide (the Euro 6 standard for petrol engines is 60mg/km). Cars classed as Euro 5 are exempt from the newly introduced T-charge in London, and Euro 6 vehicles will be exempt from the ultra-low emissions zone (ULEZ) charges when they are introduced in London and potentially further afield in a bid to improve the UK’s air quality. The demand for brand new diesel cars has dropped by 21% in the last year as a result of concerns about the scaling back of future production. This drop in demand for new cars, fears about emissions charges related to owning a very old ‘dirty’ diesel vehicle have made all second-hand diesel cars much cheaper to buy than their petrol equivalents, despite diesel cars built in recent years proving almost as environmentally friendly as a petrol equivalent. Among the best Euro 5 and Euro 6 compliant diesel cars available at very attractive prices now are the Mercedes Benz A class, the BMW 3 Series and the Audi A3. The increased availability of great value diesel cars currently allows consumers to save money when compared to buying a petrol car. 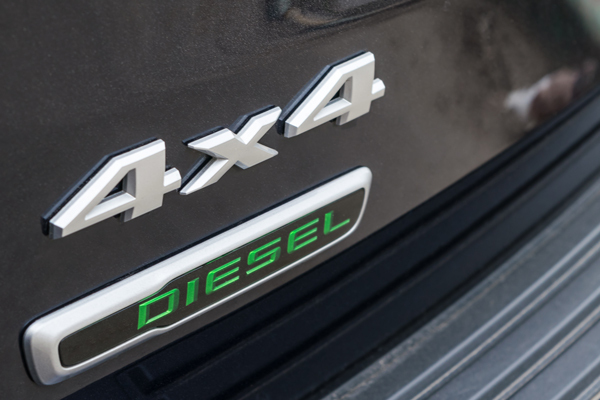 As used diesel cars are now significantly cheaper, buying a diesel gives the consumer the opportunity buy a newer model or something a little more exciting than if they had opted for a petrol model. Some diesel models are now up to 26% cheaper than the petrol version, despite costing more when new. This drop in price also allows environmental aware consumers to invest in one of the best diesel cars available, rated to Euro 5 or 6 standard, at a knockdown price. As a result, consumers are starting to see the advantages of buying used diesel cars, rather than their more expensive petrol equivalents.